My family and I love this. 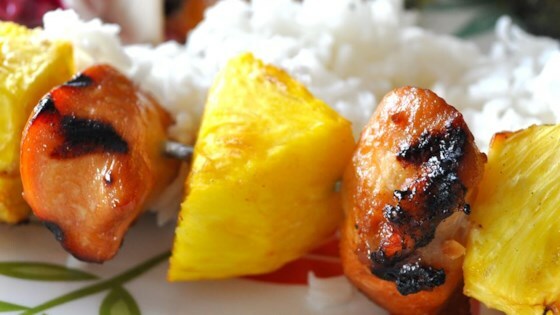 I have modified it by baking the chicken and pineapple chunks in the marinade, and serving with coconut rice. It is so good.